Continuous High Shear Homogenizer Mixer | ARDE Barinco Inc.
Operating at up to 13,000 RPM, Cavitron rotor/stator mixers can produce as many as 500 million cavitational episodes per second. 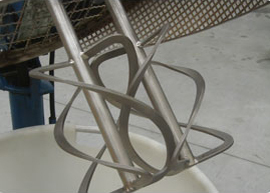 Cavitron reactor systems are based on kinematic high-frequency technology. Revolutionary process is remarkably efficient, enabling Cavitron systems to handle throughputs that used to require much larger machines. 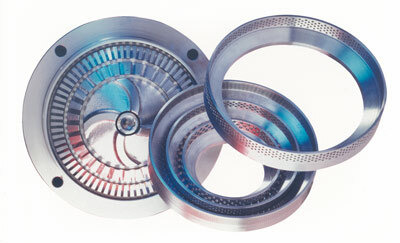 Cavitron tools consist of a series of concentric rings containing holes or slots. 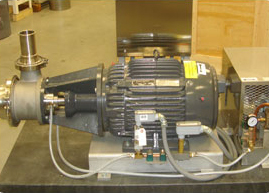 As the medium enters the center chamber, it is compressed at a pressure of up to 10 bar. One one-thousandth of a second later the chamber opens, and the medium explodes outward into the next chamber. 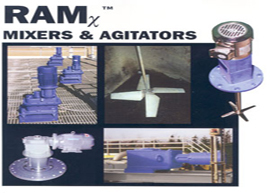 A series of nozzles (holes) breaks down the medium as it passes from chamber to chamber. These nozzles can be as small as 500 microns (.5mm), and the rotor/stator segments can meet up to 500 million times per second. Download/Print Brochure. Documents may take a moment to download. Your patience is appreciated. Free of rheological restrictions, Cavitron can process solids, liquid, gaseous, fibrous and pasty media. That makes it widely applicable in a variety of industries. 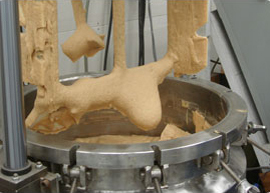 Pharmaceutical - Produce fine-grain emulsions down to sub-micron droplet size. Precise control makes Cavitron the perfect choice for critical chemical reactions. 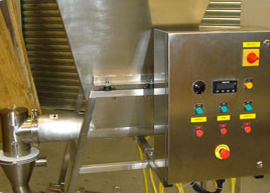 Food - Applications include decomposition of hops for brewing, homogenization and refining of cocoa, and emulsification of butter, margarine and mayonnaise. 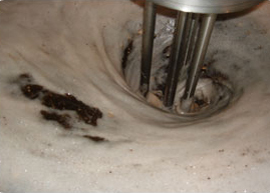 Cavitron can also be used for enzymatic reactions and dispersion during fermentation. Biotechnology - Cavitron technology is well-suited for cell disruption and liposome production. 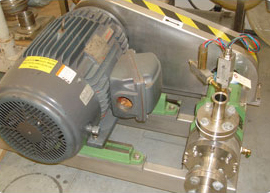 Chemical - Producing chemical reactions in a Cavitron system can significantly decrease undesirable side reactions of hazardous chemicals such as furans and dioxin. Cosmetics - Process fine-grain creams and lotions, including those containing liposomes, and evenly dispersed pigments. Paper - Cavitron can be used for de-fibering and de-flaking, and to optimize the dispersion of TiO2.